A newly-formed alliance of eco-friendly convention centres is expecting to grow its membership as venues come under increasing pressure to offer sustainable events. 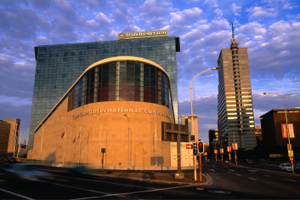 The Global Green Alliance was formed by Melbourne Convention and Exhibition Centre, the Arena and Convention Centre Liverpool and Cape Town International Convention Centre. But Kerrin MacPhie, head of sales at ACC Liverpool's BT Convention Centre, predicts that more centres will soon join them as pressure grows to meet CSR and sustainability targets. She said: "We will not only offer clients an outstanding, eco-friendly venue in the UK, but can also extend that offer to include partner convention centres across the world that we know will meet their sustainability targets as well as we do." MCEC sales director Anne Jamieson has hailed the alliance as the beginning of a new era. "The launch of this new partnership marks an exciting new era for the meetings and events sector as we collaborate in developing new eco-friendly venue design features and packaged services," she said. "We anticipate that event organisers will benefit from a significantly enhanced sustainable offer and the industry, as a whole, will see best practice improved across the board." The alliance's strategy is to focus on developing its combined offer and joint international marketing activities. Over the next few months, it plans to announce a series of initiatives to further develop industry best practice.